Want to see Battleship on a big screen at your base? 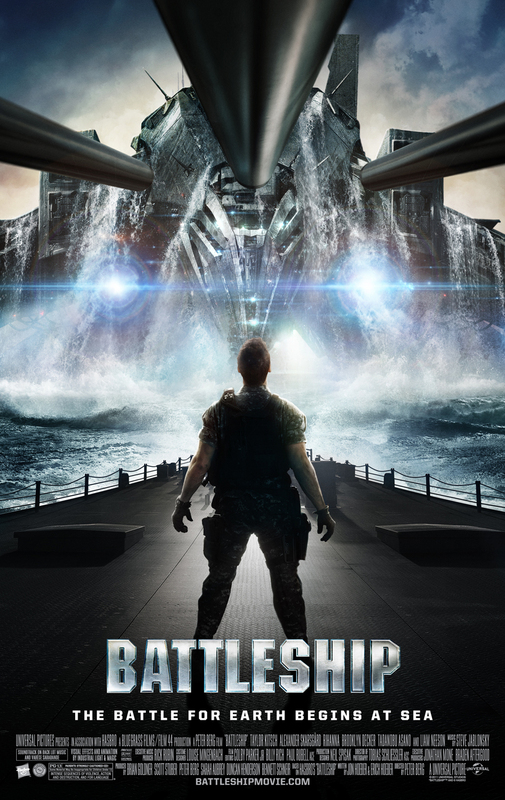 Eventful Inc., is holding a “Battle of the Bases” campaign to bring sneak previews of the movie Battleship to 10 military bases across the country before the film opens everywhere May 18. Family, friends and servicemembers can vote online at http://eventful.com/battleship. The 10 military bases with the most votes by May 8 will get an advanced screening of Battleship at a theater near the base between May 15 and May 17. The action-adventure movie, which includes real sailors as extras, is about Earth fighting for survival against aliens. It stars Rihanna, Brooklyn Decker and Liam Neeson. Battleship looks hilarious, though how it is based on the game battleships, I’m not sure – I hope it has a scene where some gunner has to guess the location of an invisible ship, and a spotted tells him whether he’s hit or miss! It is great that they are doing this for the Service Members. I like that the Surface Navy is getting some well deserved attention. Good job guys! This movie looks like steaming cup of doodoo.